The Energy Star program divides the country into four climate zones based on annual average temperature. Zone 1 is the mildest and Zone 3 is the coldest. 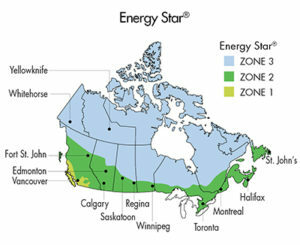 Visit http://oee.nrcan.gc.ca/ to find your town’s specific zone. 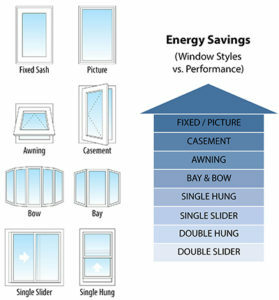 By installing energy efficient windows and doors in your home you can reduce energy costs by 7-12% or more*. 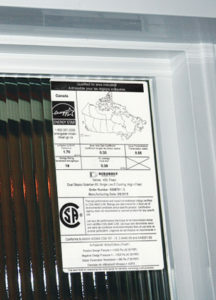 As part of the new Energy Star program Durabuilt has implemented a labeling system that clearly summarizes your window’s CSA and Energy Star information. This includes the zone for which the product qualifies – 1, 2, 3 – along with the relevant performance data including the U-Factor, Solar Heat Gain Coefficient and Energy Rating. It is important that you keep these labels for each product purchased as they can be used to qualify for government grants and incentives, as well as our warranty program.